Factory-Trained Technicians. Feel confident knowing Factory-Trained Technicians along with the highest quality equipment are utilized to service your vehicle. You can expect service done being complete and correct the first time. 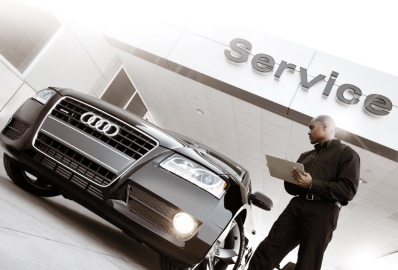 Depart our service experience feeling confident and content with the Audi Werks service experience! 100% Customer Service Commitment. Expect 100% focus driven service. We are here to help you, and our Service Team is dedicated to Excellent Customer Service! Enjoy a high level of communication and time taken to clearly communicate service details and our findings. For Your Peace of Mind. Being a vehicle owner, you want to keep your vehicle in excellent working order and safe. Our exceptional service department knows your vehicle better than anyone and will ensure you have peace of mind daily!